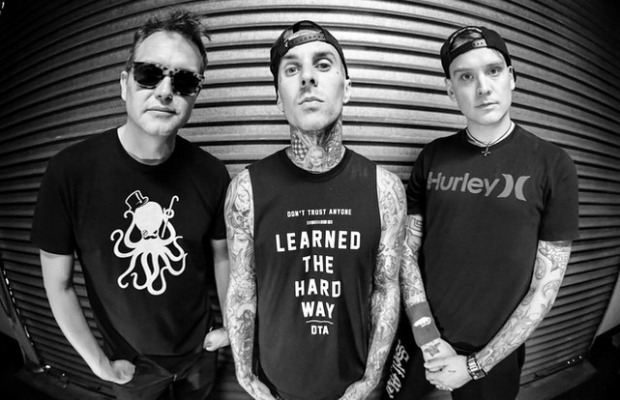 Last night, at famed music club The Roxy in Los Angeles, Matt Skiba performed his inaugural set with pop punk forefathers blink-182. As most should already know, Skiba took the place of longtime guitarist and punk rock punchline Tom Delonge after a brutal and public feud between Delonge and the band’s other tenured members, Mark Hoppus and Travis Barker. According to an article ran by Alternative Press, the Alkaline Trio frontman said blink-182 “feels like home.” A good indication, considering the band has two more shows lined up with Skiba — both of which can be found here. Posted in News, Streams Tags: Blink 182, blink 182 tour dates, carousel, dammit, feeling this, mark hoppus, mark matt and travis show, matt skiba, new blink 182, new frontman, reckless abandon, the rock show, the roxy, tom delonge, travis barker, up all night, What's My Age Again?